The rebels in Libya are in the middle of a life or death civil war and Moammar Gadhafi is still in power and yet somehow the Libyan rebels have had enough time to establish a new Central Bank of Libya and form a new national oil company. Perhaps when this conflict is over those rebels can become time management consultants. They sure do get a lot done. What a skilled bunch of rebels – they can fight a war during the day and draw up a new central bank and a new national oil company at night without any outside help whatsoever. If only the rest of us were so versatile! But isn’t forming a central bank something that could be done after the civil war is over? According to Bloomberg, the Transitional National Council has “designated the Central Bank of Benghazi as a monetary authority competent in monetary policies in Libya and the appointment of a governor to the Central Bank of Libya, with a temporary headquarters in Benghazi.” Apparently someone felt that it was very important to get pesky matters such as control of the banks and control of the money supply out of the way even before a new government is formed. Of course it is probably safe to assume that the new Central Bank of Libya will be 100% owned and 100% controlled by the newly liberated people of Libya, isn’t it? Most people don’t realize that the previous Central Bank of Libya was 100% state owned. The following is an excerpt from Wikipedia’s article on the former Central Bank of Libya…. The Central Bank of Libya (CBL) is 100% state owned and represents the monetary authority in The Great Socialist People’s Libyan Arab Jamahiriya and enjoys the status of autonomous corporate body. The law establishing the CBL stipulates that the objectives of the central bank shall be to maintain monetary stability in Libya , and to promote the sustained growth of the economy in accordance with the general economic policy of the state. Since the old Central Bank of Libya was state owned, it was essentially under the control of Moammar Gadhafi. But now that Libya is going to be “free”, the new Central Bank of Libya will be run by Libyans and solely for the benefit of Libyans, right? Of course it is probably safe to assume that will be the case with the new national oil company as well, isn’t it? Over the past couple of years, Moammar Gadhafi had threatened to nationalize the oil industry in Libya and kick western oil companies out of the country, but now that Libya will be “free” the people of Libya will be able to work hand in hand with “big oil” and this will create a better Libya for everyone. Of course oil had absolutely nothing to do with why the U.S. “inva—” (scratch that) “initiated a kinetic humanitarian liberty action” in Libya. When Barack Obama looked straight into the camera and told the American people that the war in Libya is in the “strategic interest” of the United States, surely he was not referring to oil. After all, war for oil was a “Bush thing”, right? The Democrats voted for Obama to end wars like this, right? Surely no prominent Democrats will publicly support this war in Libya, right? Surely Barack Obama will end the bombing of Libya if the international community begins to object, right? Obama won a Nobel Peace Prize. He wouldn’t deeply upset the other major powers on the globe and bring us closer to World War III, would he? Russian Foreign Minister Sergei Lavrov has loudly denounced “coalition strikes on columns of Gaddafi’s forces” and he believes that the U.S. has badly violated the terms of the UN Security Council resolution…. So to cool off rising tensions with the rest of the world, Obama is going to call off the air strikes, right? Well, considering the fact that Obama has such vast foreign policy experience we should all be able to rest easy knowing that Obama will understand exactly what to do. Meanwhile, the rebels seem to be getting the hang of international trade already. They have even signed an oil deal with Qatar! Rebel “spokesman” Ali Tarhouni has announced that oil exports to Qatar will begin in “less than a week“. Who knew that the rag tag group of rebels in Libya were also masters of banking and international trade? We sure do live in a strange world. Tonight, Barack Obama told the American people the following…. So now we are going to police all of the atrocities in all of the other countries around the globe? The last time I checked, the government was gunning down protesters in Syria. Is it time to start warming up the Tomahawks? Or do we reserve “humanitarian interventions” only for those nations that have a lot of oil? In fact, atrocities are currently being committed all over Africa and in about a dozen different nations in the Middle East. Should we institute a draft so that we will have enough young men and women to police the world with? We all have to be ready to serve our country, right? The world is becoming a smaller place every day, and you never know where U.S. “strategic interests” are going to be threatened next. The rest of the world understands that we know best, right? Of course the rest of the world can surely see our good intentions in Libya, can’t they? Tensions with Russia, China and the rest of the Arab world are certainly going to subside after they all see how selfless our “humanitarian intervention” has been in Libya, don’t you think? In all seriousness, we now live in a world where nothing is stable anymore. Wars and revolutions are breaking out all over the globe, unprecedented natural disasters are happening with alarming frequency and the global economy is on the verge of total collapse. By interfering in Libya, we are just making things worse. Gadhafi is certainly a horrible dictator, but this was a fight for the Libyan people to sort out. We promised the rest of the world that we were only going to be setting up a “no fly zone”. By violating the terms of the UN Security Council resolution, we have shown other nations that we cannot be trusted and by our actions we have increased tensions all over the globe. 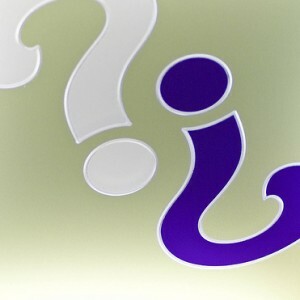 So what do all of you think about what is going on in Libya? Please feel free to leave a comment with your opinion below…. One Out Of Every Ten U.S. Banks Is Now On The FDIC’s Problem List – Do You Know If Your Bank Is Safe? Do you know if your bank will be there next month? For a growing number of Americans, that is becoming a very real question. The Wall Street Journal is reporting that 775 banks (approximately ten percent of all U.S. banks) are now on the Federal Deposit Insurance Corporation’s list of “problem” banks. This year we have already seen more than six dozen banks fail, and the frightening thing is that we are seeing a rapid acceleration in bank failures even though we are supposedly in a “recovery” right now. So what happens if the economy takes a bad turn and hundreds of these banks that are barely surviving start failing? Right now an increasing number of Americans are not paying their loans, and this is shredding the balance sheets of small and medium size banks all over the United States. In fact, during the first quarter of 2010, the total number of loans that are at least three months past due increased for the 16th consecutive quarter. Sixteen times in a row is a total nightmare. Is there anyone out there that is still convinced that the economy is getting better? If so, perhaps this will convince you otherwise…. There were 252 banks on the FDIC’s “problem list” at the end of 2008. There were 702 banks on the FDIC’s “problem list” at the end of 2009. Now there are 775 banks of the FDIC’s “problem list”. Are you starting to see a trend? Federal regulators have already closed 73 banks in 2010, more than double the number shut down at this time last year. The truth is that the U.S. banking system is coming apart like a 20 dollar suit. So is the FDIC worried? No, they insist that they have plenty of money to cover all of the banks that are going to fail. After all, the FDIC’s deposit insurance fund now has negative 20.7 billion dollars in it, which represents a slight improvement from the end of 2009. That should be enough to cover the hundreds of banks that are in the process of failing, right? Well, if not, the FDIC can just run out and ask the U.S. government for a big, juicy bailout. After all, can’t the U.S. government borrow an endless amount of money with absolutely no consequences? Debt always catches up with you sooner or later. In fact, the IMF is warning that that the gross public debt of the United States will hit 97 percent of GDP in 2011 and 110 percent of GDP in 2015. Meanwhile, the U.S. financial system continues to shrink even after the unprecedented amount of “stimulus money” that the U.S. government has been shoveling into the economy. The M3 money supply is now contracting at a frightening pace. In fact, the current rate of monetary contraction now matches the average rate of monetary contraction the U.S. experienced between 1929 and 1933. We aren’t going into a Depression. Everything is going to be just fine. Just look deep into Obama’s eyes and keep repeating the word “change” to yourself over and over. According to a report in The Telegraph, the M3 money supply declined from $14.2 trillion to $13.9 trillion in the first quarter of 2010. That represents an annual rate of contraction of 9.6 percent. In case you were wondering, that is a lot. Not only that, but the assets of institutional money market funds declined at a 37 percent annual rate. That was the sharpest drop ever. Yes, it is time for the alarm bells to start going off. The Telegraph recently quoted Professor Tim Congdon from International Monetary Research as saying the following about the deep problems that the U.S. is facing…. If banks continue to cut their lending, the M3 is going to continue to shrink. But as noted above, Americans are increasingly getting behind on their loans, so why should banks loan money to a bunch of deadbeats? Right now U.S. banks are increasingly tightening their lending standards, and this is making it much tougher to get a loan. In fact, in 2009 the biggest U.S. banks posted their sharpest decline in lending since 1942. The U.S. economy is completely and totally dependent on credit. Without easy credit, the entire U.S. economic machine is going to slowly grind to a halt. The reality is that we have one gigantic financial mess on our hands, and in many ways it is starting to look like the 1930s all over again. But perhaps someone out there has a way to get us out of this nightmare. Please feel free to leave a comment with your thoughts, opinions or solutions…. If The Money Supply Is Exploding Why Are We Not Seeing Rampant Inflation? The U.S. money supply has been expanding at an absolutely unprecedented rate. So why are we not experiencing rampant inflation? Why is the U.S. dollar not falling through the floor? Well, the truth is that all of this new money has gotten into the U.S. financial system but it is not getting into the hands of U.S. businesses and consumers. In fact, even though the money supply is exploding, U.S. banks have dramatically decreased lending. This has brought us to a very bizarre financial situation as a nation. What we have seen is the U.S. government shovel massive amounts of cash into the U.S. financial system and then watch as the big banks sit on that cash and refuse to lend it. The biggest banks in the U.S. reduced their collective small business lending balance by another 1 billion dollars in November 2009. That drop was the seventh monthly decline in a row. In fact, in 2009 as a whole U.S. banks posted their sharpest decline in lending since 1942. So all of this money that the U.S. government pumped into the financial system has been doing American businesses and consumers very little good. That is why we can have a vastly increased money supply (as you can see from the chart below) and very little inflation. 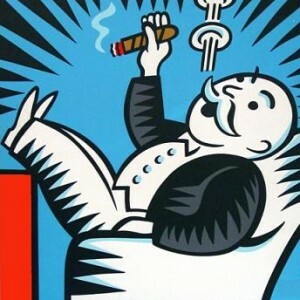 So if the banks are not lending the money to the American people, what are they doing with it? One of the things they are doing with it is buying U.S. government debt. As you can see from the chart below, U.S. banks have cut business lending by approximately 350 billion dollars since early 2009 and they have purchased approximately 300 billion dollars worth of U.S. Treasury securities. So instead of loaning money to American businesses and consumers who desperately need it, a ton of this new money is being used to pump up yet another bubble. This time the bubble is in U.S. Treasuries. Asia Times recently described how this trillion-dollar carry trade in U.S. government securities works…. Remarkably, the most aggressive buyers of US government debt during the past several months have been global banks domiciled in London and the Cayman Islands. They borrow at 20 basis points (a fifth of a percentage point) and buy Treasury securities paying 1% to 3%, depending on maturity. This is the famous “carry trade”, by which banks or hedge funds borrow short-term at a very low rate and lend medium- or long-term at a higher rate. This works as long as short-tem rates remain extremely low. The moment that borrowing costs begin to rise, the trillion-dollar carry trade in US government securities will collapse. So what happens when this bubble collapses? Nobody knows for sure. But anyone who has dealt with carry trades in the past knows that when carry trades unwind they can do so very, very quickly and the results can be nightmarish. The truth is that the U.S. financial system is a house of cards that could fall at any time. A lot of economic pain is on the horizon – it is only a matter of when it comes and how bad it is going to get. Trends forecaster Gerald Celente is predicting that it could be as soon as this year…. All Money In The United States Comes Into Existence As Debt – So What Will Happen Now That Bank Lending In The U.S. Is Contracting At The Fastest Rate In History? Most Americans who closely follow economics understand that all money in the United States comes into existence as debt. Either the Federal Reserve creates it when the U.S. government borrows money, or private banks create it when they use fractional reserve banking to make loans to customers. If lending increases, it is going to create new money and increase the money supply. But if lending declines, it is going to take money out of the system and will decrease the money supply. So why is this important? It is important because without sufficient lending, the U.S. economy will seize up and grind to a standstill. Unfortunately, we have created an economic system that is fueled by credit, and without enough credit businesses can’t expand or hire more workers, individuals can’t buy homes and cars and there will not be any hope that the U.S. economy will function at previous levels. 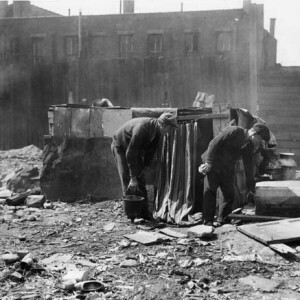 If you will remember, this is what happened at the beginning of the Great Depression. The big banks severely tightened credit and it created a deflationary depression. Unfortunately, the same thing is happening again. In 2009 U.S. banks posted their sharpest decline in lending since 1942. In 2010 so far, bank lending in the U.S. has contracted at the fastest rate in recorded history. A “credit freeze” has struck the entire banking industry. 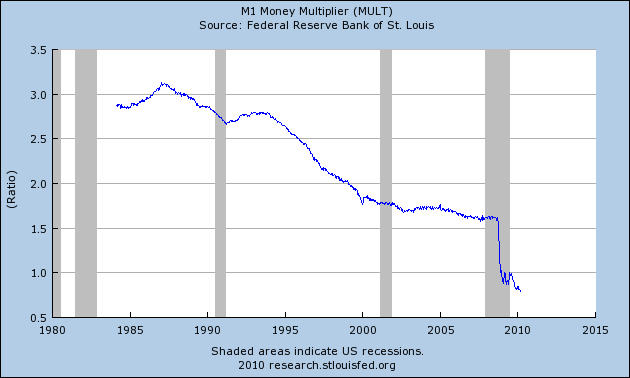 One indication of just how bad the credit freeze has gotten is to look at a graph of the M1 Money Multiplier. It is now at the lowest point it has been in decades. Why? Because banks are simply not lending money…. But didn’t Bush and Obama insist that if we got cash into the hands of the bankers that they would lend it out and help all of us “Main Street” folks out? It didn’t work out that way, did it? Instead, the banks (especially the big banks) are reducing their lending, hoarding cash and shrinking the money supply. If this continues, we may very well experience a 1930s-style deflationary depression, at least for a while. Already we are seeing the effects of tighter credit hitting the economy…. *Federal regulators on Friday shuttered banks in Florida, Illinois, Maryland and Utah, boosting to 26 the number of bank failures in the United States so far in 2010. The closing of numerous banks on Friday is almost becoming a weekly ritual now. *The FDIC is planning to open a massive satellite office near Chicago that will house up to 500 temporary staffers and contractors to manage receiverships and liquidate assets from what they are expecting will be a gigantic wave of failed Midwest banks over the next few years. *The U.S. Postal Service, facing a $238 billion budget deficit by 2020, is being urged to consider cutting delivery to as few as three days a week. As money continues to get tighter, we should expect even more government services to be cut. In fact, some local governments around the U.S. are considering bulldozing whole neighborhoods just so they don’t have to spend money on providing those neighborhoods with essential services. So will the U.S. government come to the rescue? Well, some would argue that the unprecedented spending by the U.S. government over the past several years is the only reason why the U.S. economy has not already plunged into a full-blown depression. But of course all of this government debt is only going to make our long-term problems even worse. The Congressional Budget Office is projecting that Barack Obama’s proposed budget plan would add more than $9.7 trillion to the U.S. national debt over the next decade. Especially if the Federal Reserve refuses to keep “monetizing” all of this debt. During a recent hearing, Federal Reserve Chairman Ben Bernanke warned Congress that the Federal Reserve does not plan to continue to “print money” to help Congress finance the exploding U.S. national debt. So if the Federal Reserve will not finance this gigantic pile of U.S. debt, who will? Already China and some other major foreign powers have reduced their holdings of U.S. Treasuries. So who is going to borrow the trillions upon trillions that the U.S. government is going to have to borrow? Perhaps the U.S. government will decide to stop spending so much and will start cutting back and will start being more fiscally responsible. You see, if the U.S. government does not keep borrowing insane amounts of money to pump up the U.S. economy the whole thing could come down like a house of cards. Of course it is all going to come down like a house of cards eventually anyway. There are several ways that all of this could play out (deflationary depression, hyperinflationary implosion, societal collapse, etc. ), but all of them are bad. The truth is that an economic collapse is coming whether you or I like it or not. We had all better get ready while we still can. More than ever before in U.S. history, American society absolutely relies on credit in order to function. In fact, if you cut off all sources of credit to U.S. businesses, most of them would go out of business fairly quickly. The truth is that when the money supply expands and credit flows freely, the U.S. economy usually hums along pretty good. But when the money supply contracts and the financial powers tighten credit, it almost always means that an economic slowdown is coming. That is why recent signals by the Federal Reserve and the major banks in the U.S. are so alarming. But why would the financial authorities want to contract the money supply and tighten credit just when the U.S. economy is showing some signs of life? Well, the truth is that nobody can read their minds. In the long run, the massive size of the U.S. national debt is going to force a massive increase in the size of the U.S. money supply and will eventually lead to hyperinflation. However, in the short term U.S. financial powers may see this as a chance to further consolidate their power. There are rumors that they still desire much greater “consolidation” in the banking industry. So how would this “consolidation” be achieved? Well, a massive “second wave” of mortgages is scheduled to reset over the next two to three years. If credit is tight and the U.S. economy is struggling, then another huge wave of mortgage defaults could potentially destroy hundreds of small to mid-size banks across the United States. The big banks would be in prime position to come in and buy many of them up for a song. You see, this is very similar to what happened during the Great Depression. During the Great Depression, the financial powers reduced the money supply, tightened credit and hoarded cash. The U.S. economy seized up and suddenly nobody had any money. Those who did have money (the financial powers) were in many cases able to come in and buy assets up for pennies on the dollar. Not that we are expecting an extended deflationary depression this time. Instead, it is perhaps likely that they are planning a “consolidation phase” before they really blow out the dollar. In any event, a reduction in the money supply, the tightening of credit and the hoarding of cash by banks is really bad news for the average American because there will be less jobs and less opportunity as the economy slows down. The following are 4 signs that this is exactly what we are about to see…. #1) The Federal Reserve is in talks with money-market mutual funds on agreements to help drain as much as 1 trillion dollars from the financial system. The Federal Reserve is reportedly seeking to “withdraw” some of the record monetary stimulus pumped into the U.S. economy to fight the recession. But when you withdraw stimulus money from the system, what happens? That’s right – the opposite of stimulus. #2) There are persistent rumors that Federal Reserve policy makers are plotting a course for a series of interest rate hikes. Federal Reserve Chairman Ben Bernanke says that the Federal Reserve may raise the discount rate “before long” as part of the “normalization” of Fed lending. By raising that rate, Bernanke says that the central bank “will be able to put significant upward pressure on all short-term interest rates”. When the Federal Reserve raises rates, this has a ripple effect throughout the entire economy. Higher rates mean that credit will tighten and loans will be more expensive for individuals and businesses. In turn, this will cause the U.S. economy to slow down. #3) Recent data suggests that there has been a substantial drop in the “real” M3 money supply, and every time that this has happened in the past it has resulted in a drop in economic activity. In fact, this contraction in the money supply has some economic analysts now saying that it is not a matter of “if” we will have a “double-dip” recession, but of “when” it will occur. #4) There are also signs that the major U.S. banks are now hoarding cash. In fact, the biggest banks in the U.S. cut their collective small business lending balance by another $1 billion in November 2009. That drop was the seventh monthly decline in a row. It means that the collapse of the U.S. dollar will be put off for a little while but that the U.S. economy is in for some hard times ahead. More people are going to lose their jobs and more people are going to lose their homes. Eventually though, after this apparent “consolidation phase” is over, the U.S. government and the financial powers will swoop in with another round of bailouts and another round of “stimulus packages” to save the day. Once again they will be hailed as heroes and saviors. And this current “consolidation phase” does not change the long term forecast at all. 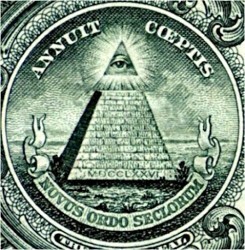 Eventually the U.S. dollar will collapse and the United States will experience hyperinflation in one form or another.